I look forward to releases of sounds captured in outer space the way some people wait for new album releases. Don Gurnett, the University of Iowa physicist responsible for various space-bound audio instruments and the major advocate for space sound, is the Jagger of the genre. Even the Kronos Quartet has gotten in on the action. 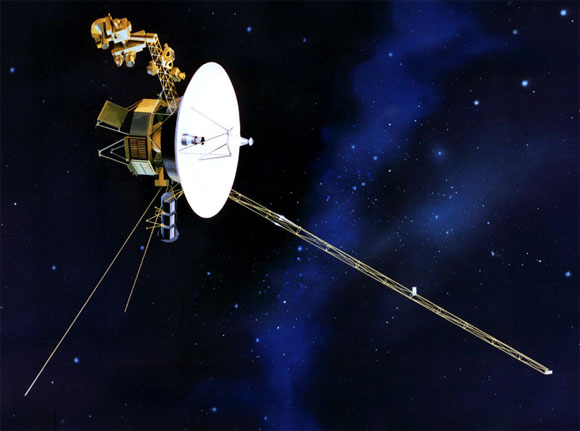 The latest from this physics rockstar: Voyager 1 crossing the Termination Shock, part of the boundary between our solar system and interstellar space. (Far out . . . literally.) 6 seconds of strange clicks and pops — and pure music. AFP has a full story on the sound. Via Electronic Musician Extra — keep it coming, Gino! Still hungry for space-related sounds? Music Thing this week took a different angle, with music made in space (as in, by astronauts). Peter at MT links to an endless page that covers sounds made in space, sounds from space, and even sounds about space and music for space exploration.